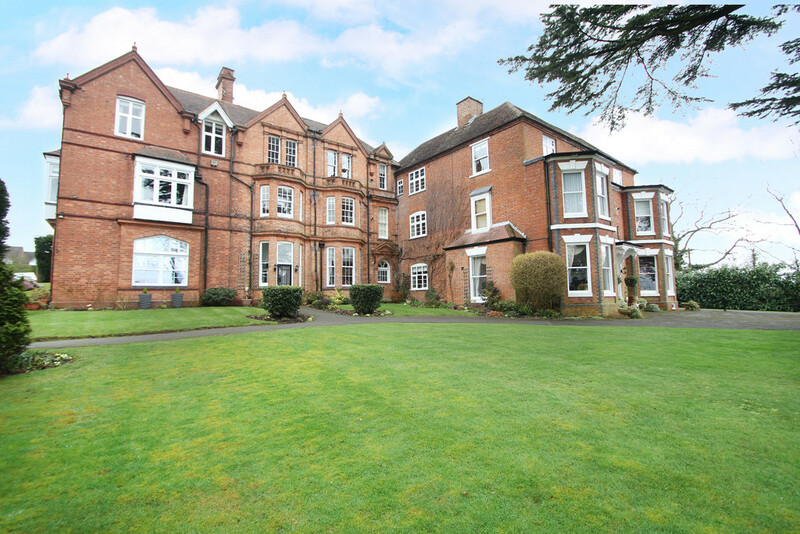 A unique opportunity to acquire an 'out there' and eclectic styled, three bedroom apartment set over two floors within a converted school building. This uniquely presented ground floor and basement apartment is ideal for a modern living occupant who fancies something different, appreciates worldly styles and seeks a self contained, spacious home with all the benefits of countryside living yet within easy reach of local villages, towns and fantastic road/ rail/ air networks. 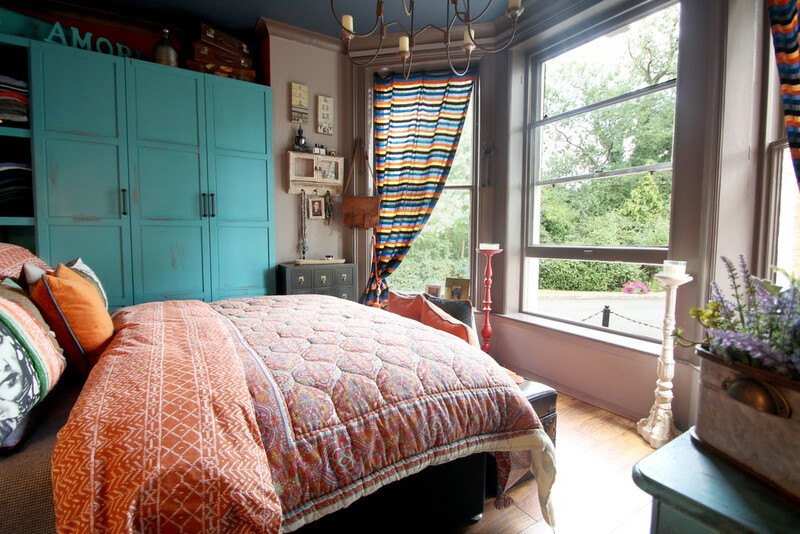 PROPERTY IN BRIEF Steeped in history and blending North London style with a fun-dose of eccentricity, this 3 bedroom ground floor property at Fetherston Grange won't disappoint. 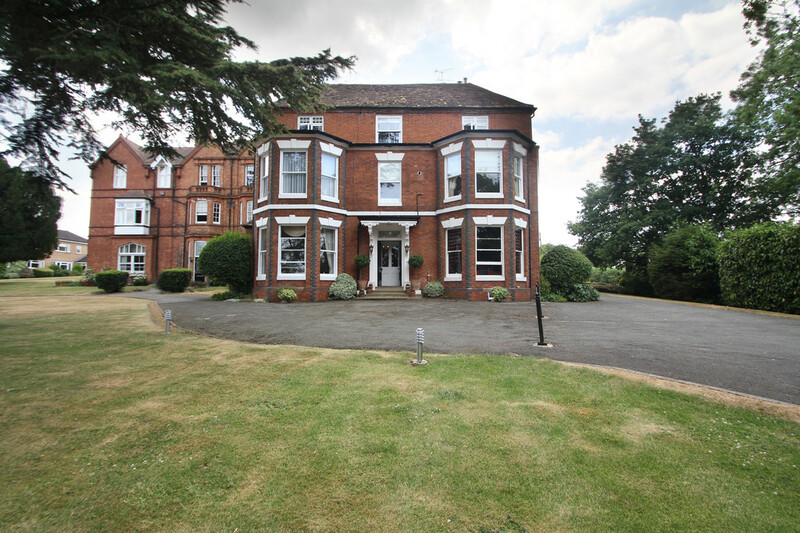 Being one of only 12 apartments, formerly the original boys school, this home offers accommodation over 2 story's, ground floor and basement with an eclectic mix of contemporary features alongside the lovable pomp and quirks of a country mansion. 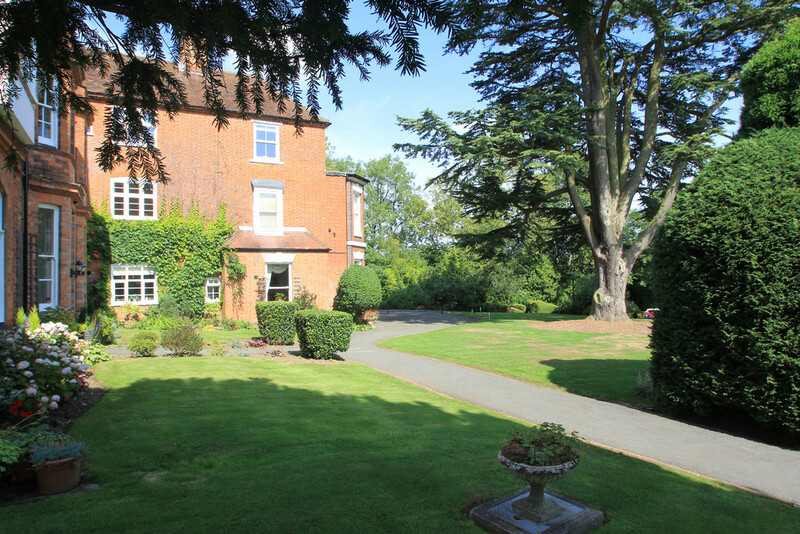 Beautifully located amongst stunning countryside. a unique home, modern in style yet surrounded by peace and quiet. 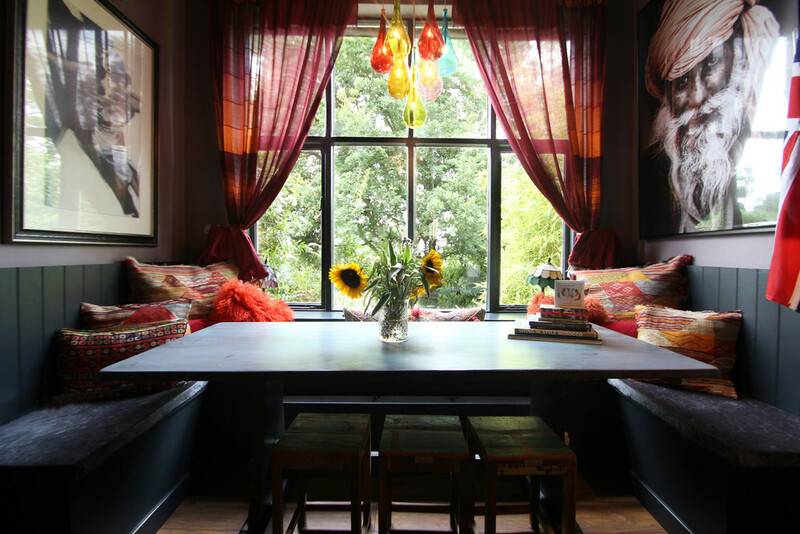 The current owners have travelled the world and bought back with them a selection of their favourite places and incorporated these cultural themes within the interior design of this comfortable and global home. Much thought and application of contemporary home design techniques have been injected into this home and the lucky new owners will have much to enjoy and share with their friends. The development is located between Dorridge, Lapworth and Hockley Heath boasting a wonderful community spirit and picture-postcard setting. 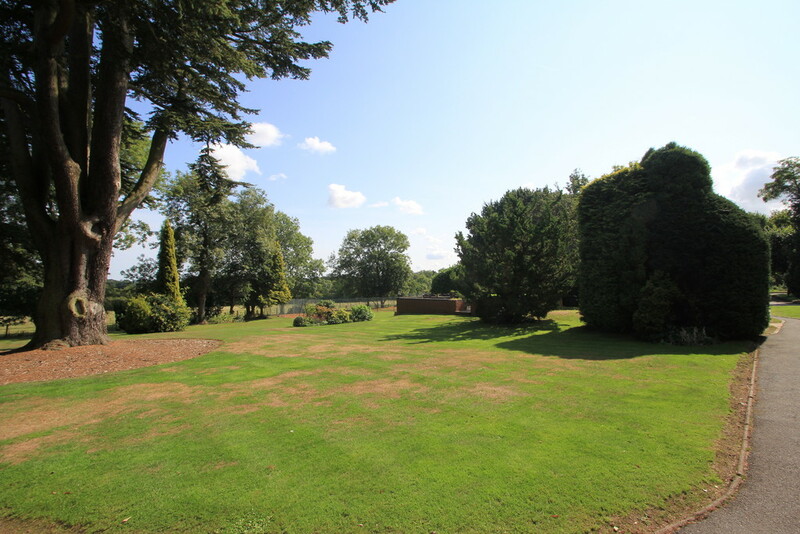 Not only would you be acquiring a wonderful residence but you can share the tennis court and patio/barbecue area with the other residents, there's even an allotment area if you're green fingered! How idyllic. 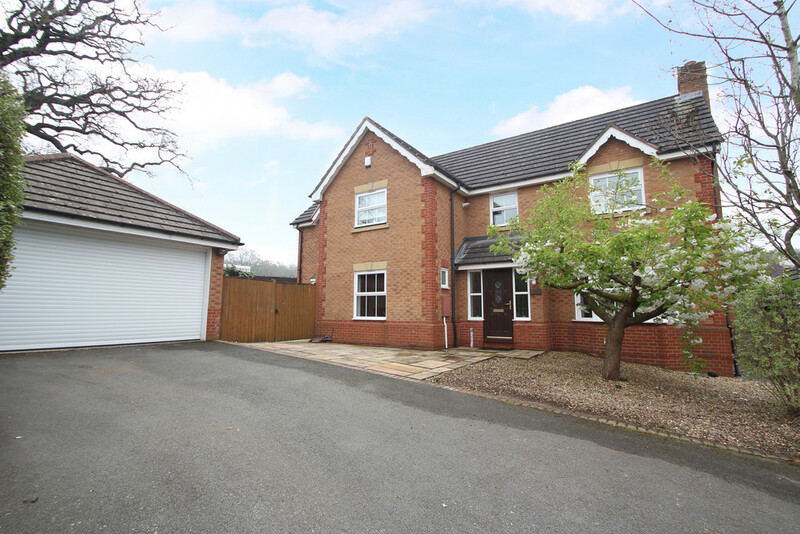 Location wise, set in open countryside yet within convenient reach of local Rail Stations, major road links and of course Birmingham International Airport. This is perfect for the busy person who likes to escape from the rat race but has everything close to hand. HALLWAY Step inside to this eclectic world-wide adventure, your journey starts here. 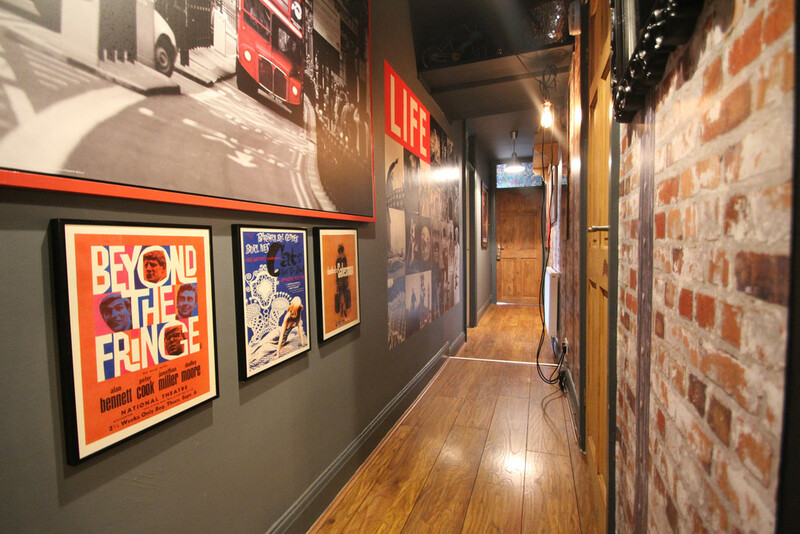 Every space within this apartment has been carefully planned to make the best use, the hallway is no exception. Beautifully styled and having a useful work-station perfect for your laptop. The hallway opens out to the main corridor affording access to all the rooms. 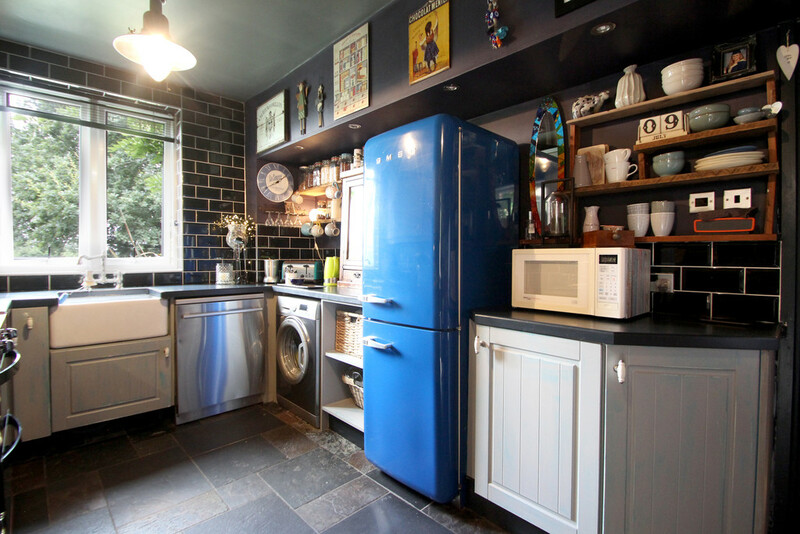 KITCHEN 14' 11" x 8' 6" (4.56m x 2.6m) This is a wonderful space, a practical kitchen with everything you need perfectly placed, a quaint breakfast/coffee sitting area and the side door leading out to a walled, communal garden area. This kitchen is awesome for servicing a full blown cooking experience or simply enjoying the 'Time Out' magazine over a freshly brewed coffee. This painted, rustic, shaker style kitchen offers a selection of wall and base units with provision for your dishwasher and washing machine. 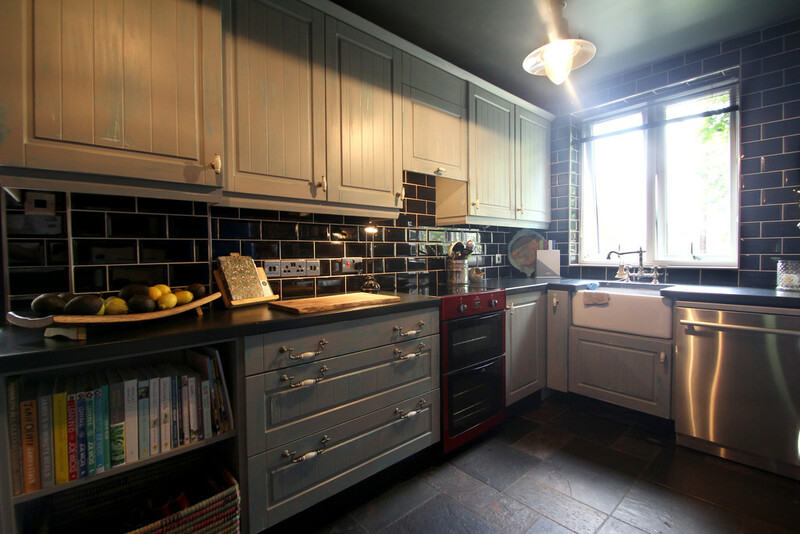 Belfast style sink with brushed Victorian style mixer tap and Victorian, black splash-back tiling surrounding the work-surfaces. 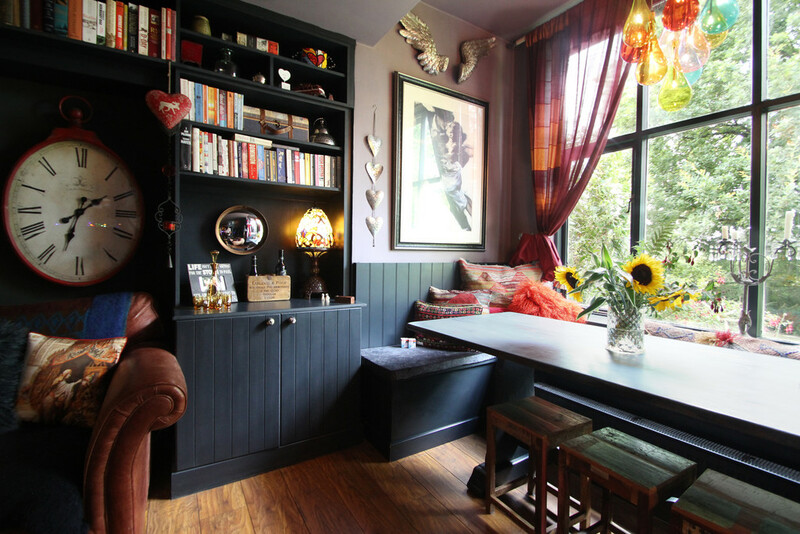 This space has an eclectic mix of olive, black and purple shades bringing a modern, comfortable and worldly cuisine-inspiring taste. 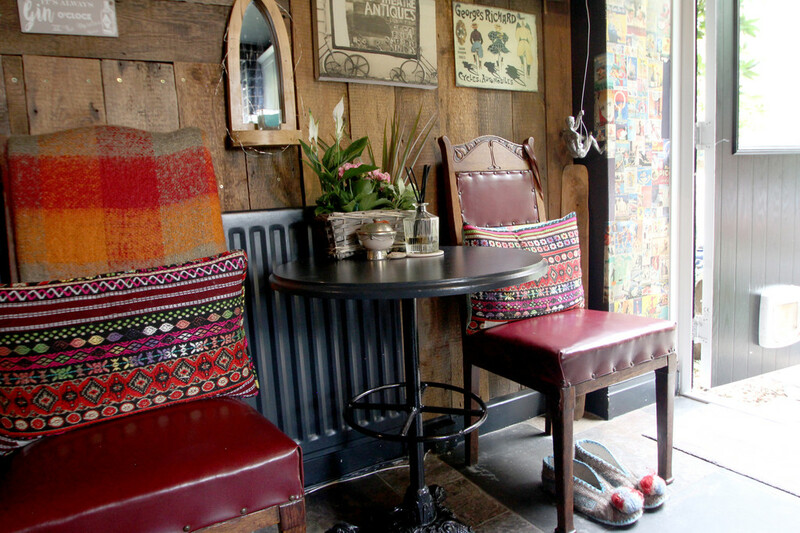 We particularly love the oak-boarded wall feature adding an earthy feel. The double glazed window delivers a stunning view over countryside, letting your mind wonder to pleasant thoughts while you scrub the dishes. This kitchen works fantastically well. LIVING ROOM 16' 4" x 14' 5" (5.0m x 4.4m) Comfortable and sociable best describes this room. Combining a cosy sitting area in-front of the feature dual-fuel log burner surrounded by a deep-set steel fireplace with time-tested marble hearth, linking into the dining area that stretches out to the window's edge delivering plenty of natural light and stunning, un-interrupted views of the countryside-such a perfect living/dining area. 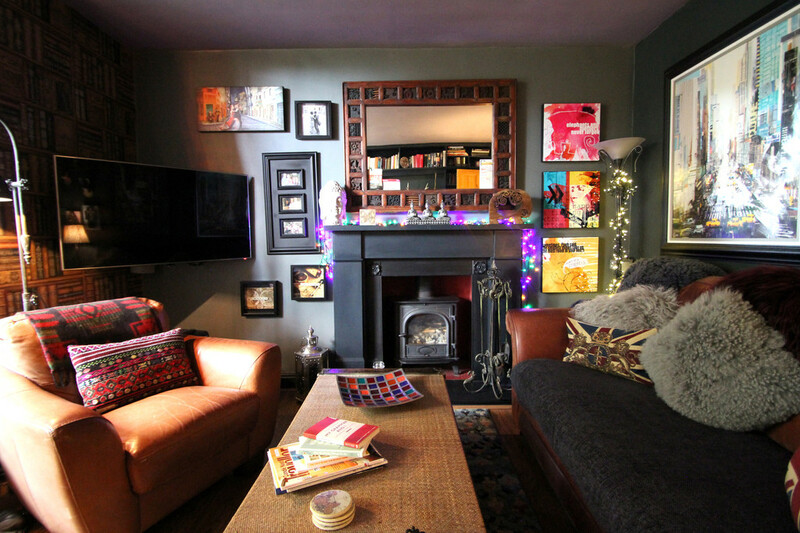 This is cosy home-style and opulence combined at it's best. 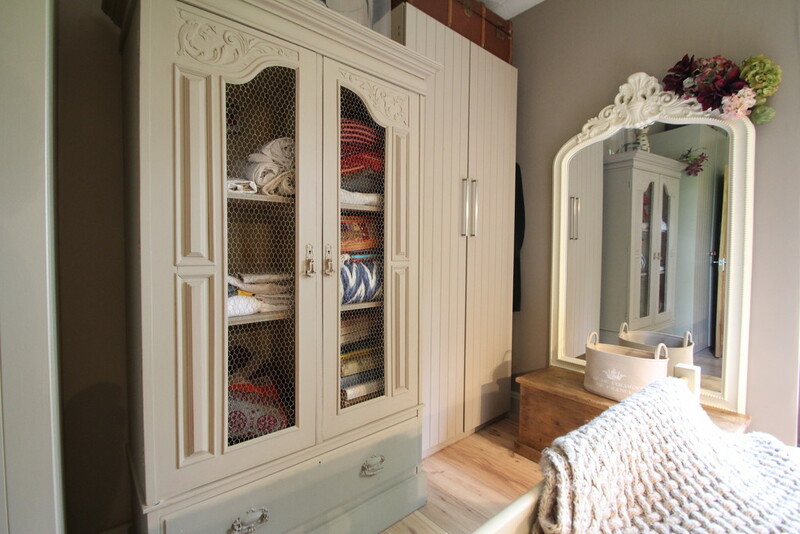 Having a built-in bookshelf and cupboard unit running along one side is perfect for building your library and extra storage. The Cherrywood shade laminate flooring continues through into this space. Whether you enjoy snuggling up on your stressed-leather sofa with a glass of red or inviting friends over for a dinner party this living space delivers. 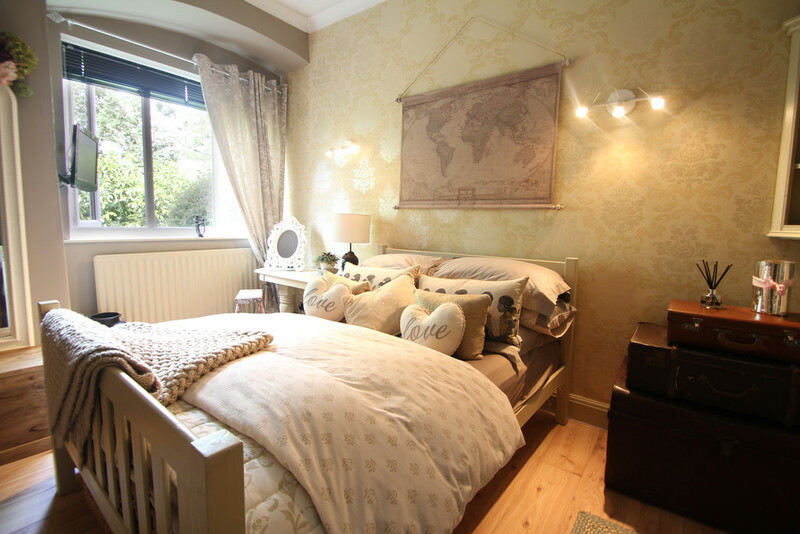 MASTER BEDROOM 14' 9" x 11' 4" (4.5m x 3.46m) Step through the stained, panelled door into this spacious master bedroom benefitting from the large, bay window with period sash openers that stretches out with gorgeous views out over the gardens. 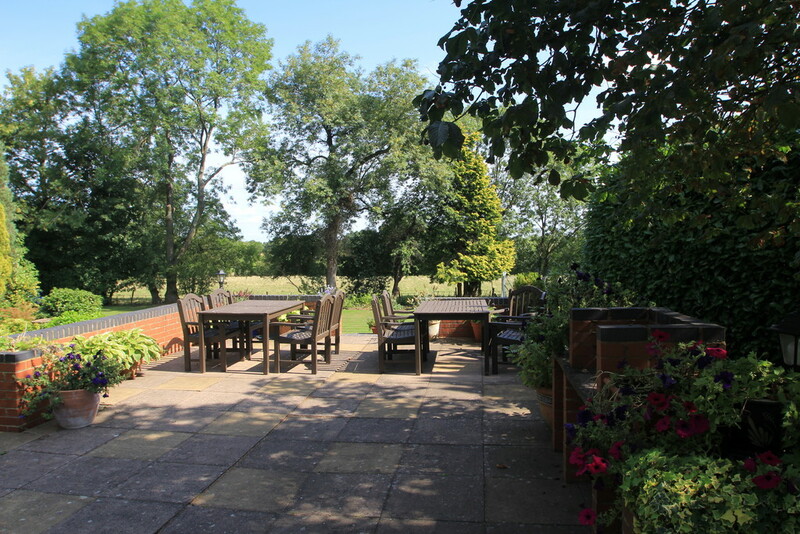 What a superb way to start to your day, stunning views with a flow of country air waking you up. A key feature of this age of property are the tall ceilings adding to the sense of space around you. 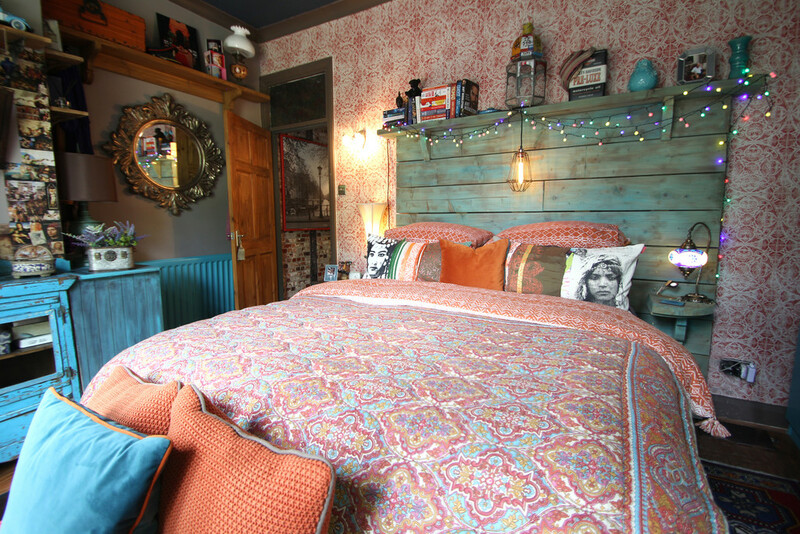 This master bedroom continues the eclectic, worldly-adventure interior styling with the continuation of wood laminate flooring. TV point and radiator. BEDROOM TWO 13' 2" x 11' 1" (4.02m x 3.4m) This opulent, classic styled bedroom boasting feature wall covering design and surrounding neutral wall colours affords great space. Again, this room boasts a tall ceiling making this room light, spacious and airy. 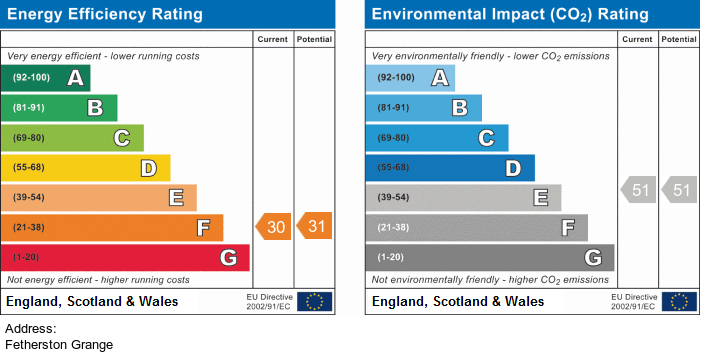 Benefitting from light-oak shaded laminate flooring and central heating radiator. This room has the added benefit of an alcove window delivering a fantastic country view and delivering plenty of natural light. BEDROOM THREE 21' 7" x 14' 3" (6.6m x 4.36m) Stepping down the winding brick stair way to 'The Basement Den' This is an amazing space-perfect for a teenager to have their own independent living space. 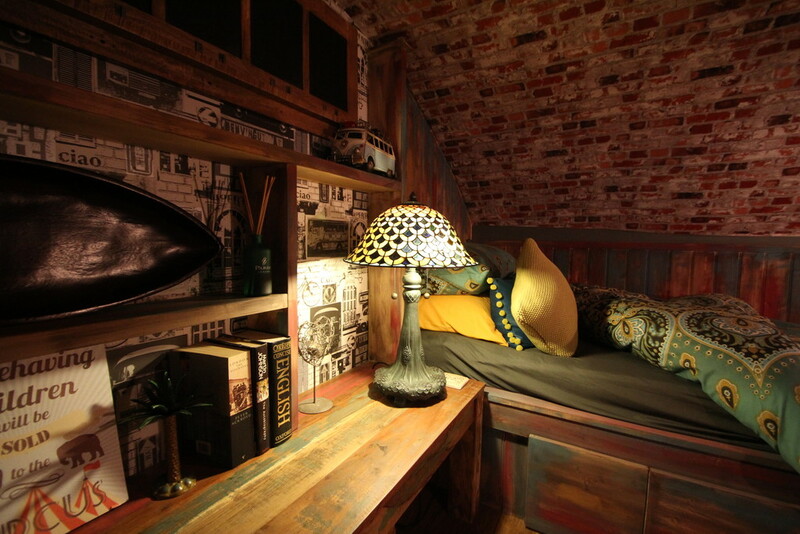 Made up of living space and a raised area perfect for their bed having a small window above. 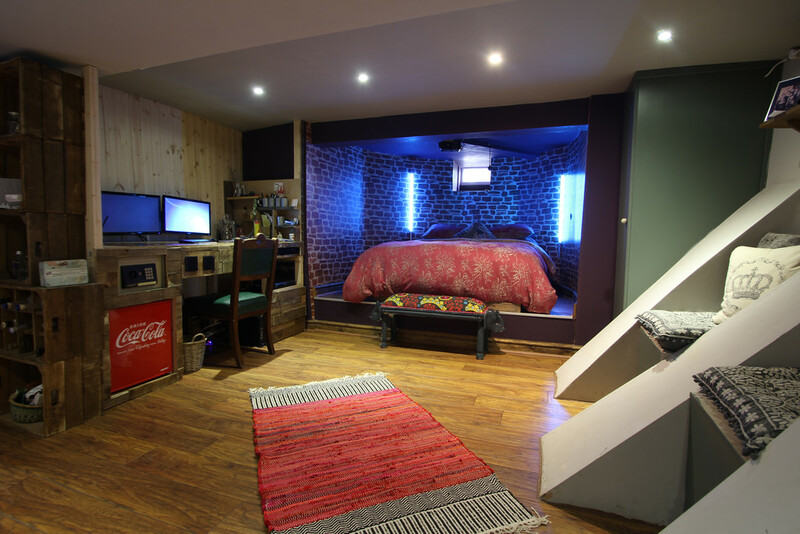 There is a home-built desk /study area and built in wardrobes too. 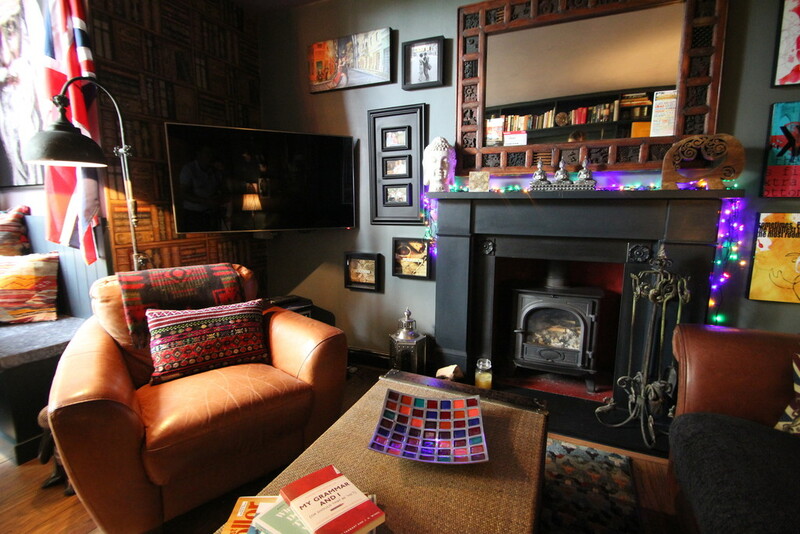 This room offers plenty of floor space, storage space, sitting area and the best bit-a bar. 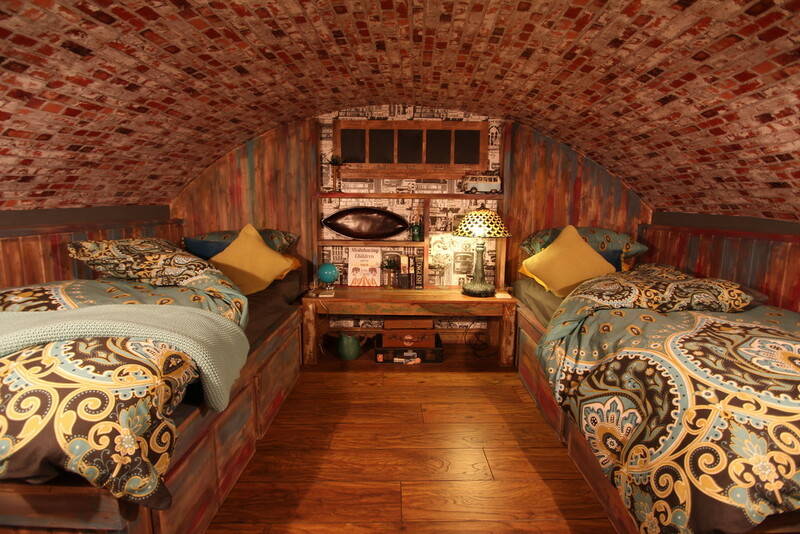 Whether for the younger member of the family or a big kid's underground master bedroom, this room is awesome. Heading out is not a problem either with a side door leading outside. Ceiling spot lights deliver plenty of light and laminate floor which is easily maintained. 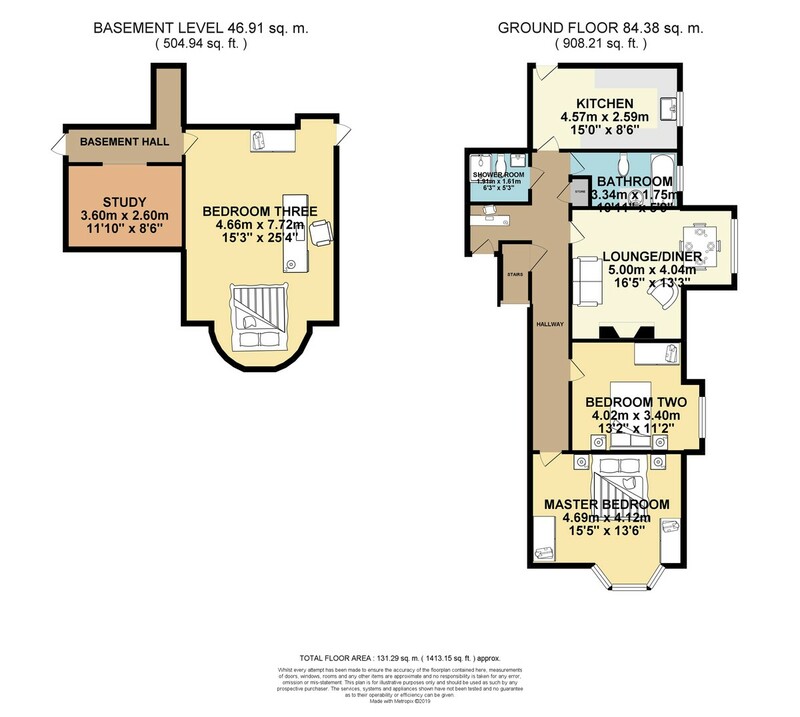 This is an great space affording private living space with independent access- a total cosmopolitan living style. STUDY/ BASEMENT ROOM 11' 9" x 8' 6" (3.6m x 2.6m) Technically a study/spare living space but we will leave this to your own interpretation. Having a gorgeous vaulted ceiling, fitted bench/ sitting area with under-storage and hand-crafted plank shelving. Polished with a European styled wall covering, laminate flooring and feature wall lighting creating a atmospheric basement mood. 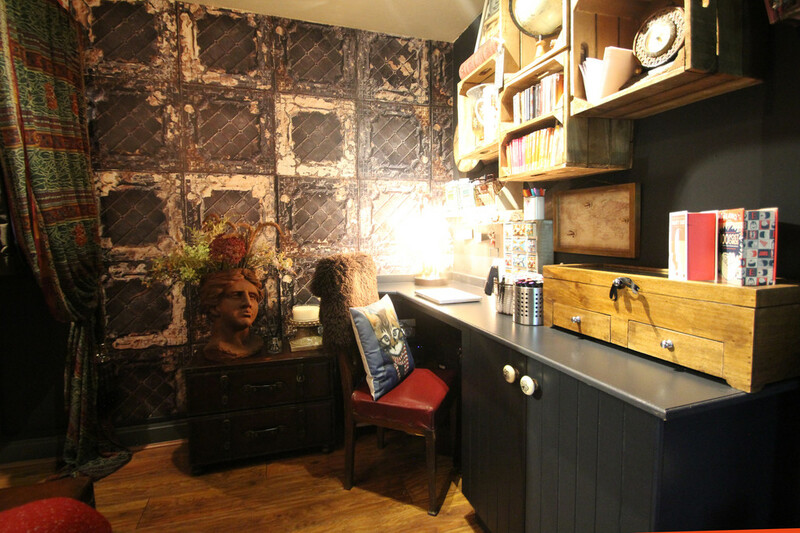 This is a versatile space and your moment to be creative with it's use. SHOWER ROOM 6' 3" x 5' 3" (1.92m x 1.61m) Step into this Moroccan style shower room for a truly North African experience, you can soak yourself in this large, walk-in shower, surrounded by glass shower screen believing you're on your travels, you could be in a bespoke hotel. 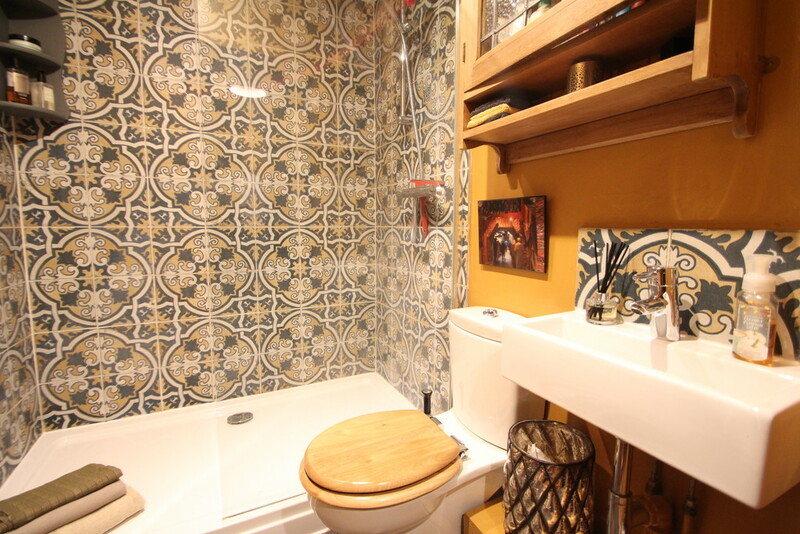 A modern fitted suite surrounded by exquisite tiling and themed bold colours. Comprising of a stylish, rectangular hand basin with Grohe mixer tap, tall chrome heated towel/radiator and W.C. This is a great space if you just fancy a quick blast in the shower, leaving the bathroom free for the rest of the household. 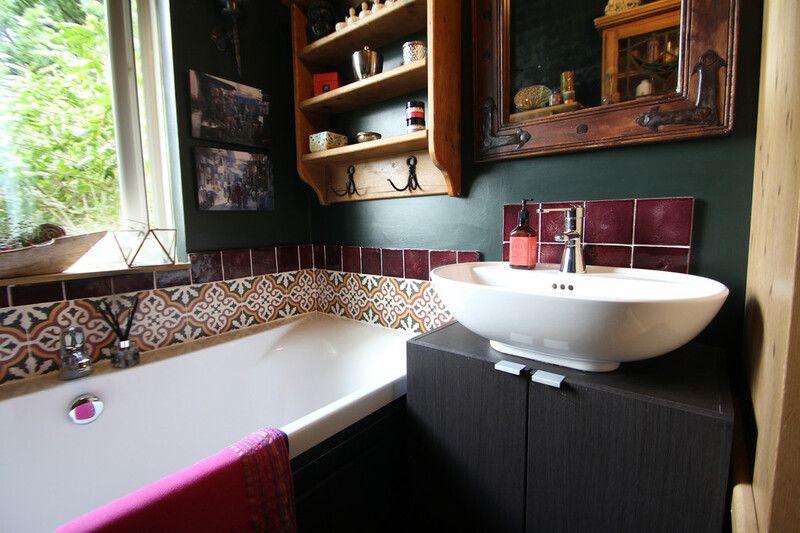 BATHROOM The main bathroom has been created for a more relaxed bathing experience, bold wall design of dark green shades with aubergine tiled borders delivering a Victorian and London apartment focused design. Featuring a modern, white suite comprising bath, a beautiful oval wash-basin resting on top of a handy vanity unit and W.C. Large and tall heated towel rail/radiator, useful over-door storage, all beautifully polished off with Cherrywood style laminate flooring surrounded by varnished skirting boards. OUTSIDE SPACE This is a unique property and one that offers an abundance of outdoor living space. 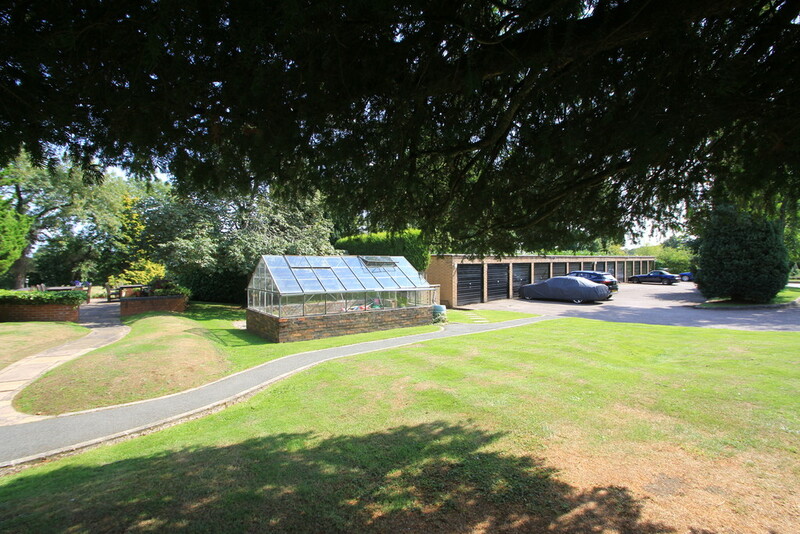 Surrounded by large gardens, communal patio/ barbecue, greenhouse, parking area and even an allotment area. 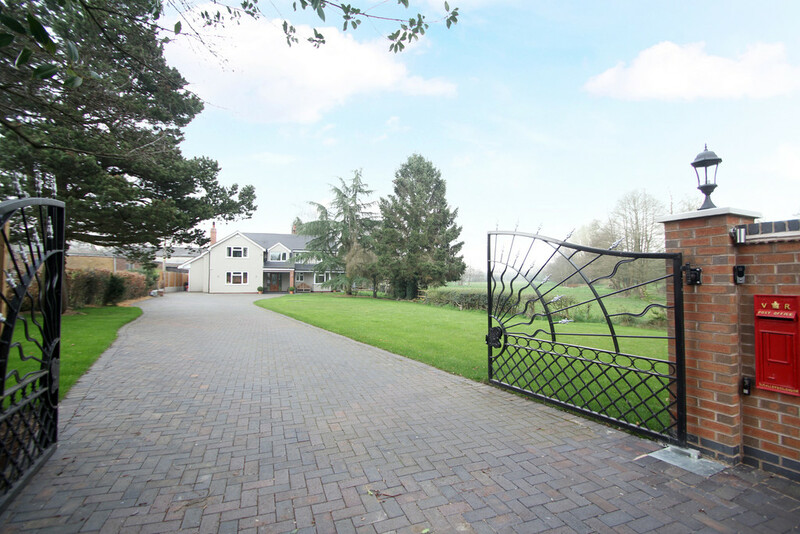 Not only does this property offer all this, you are surrounded by the finest countryside. 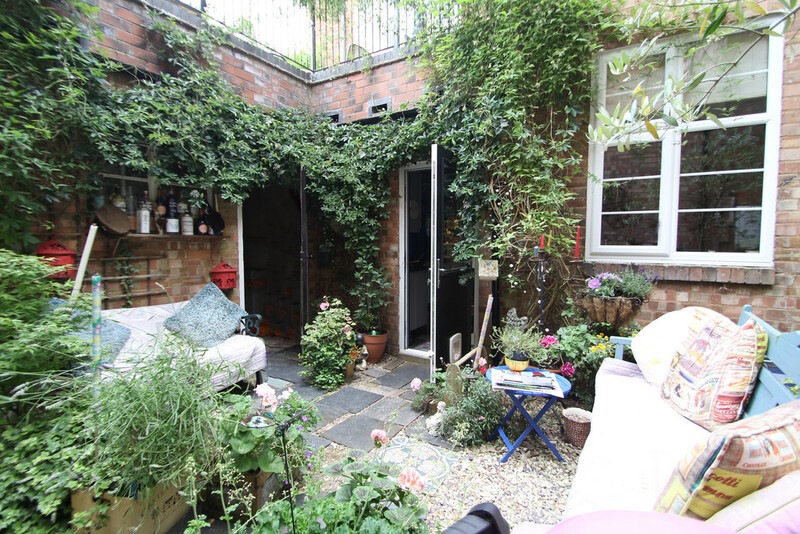 Step outside your back door into a communal walled garden, a great little space. 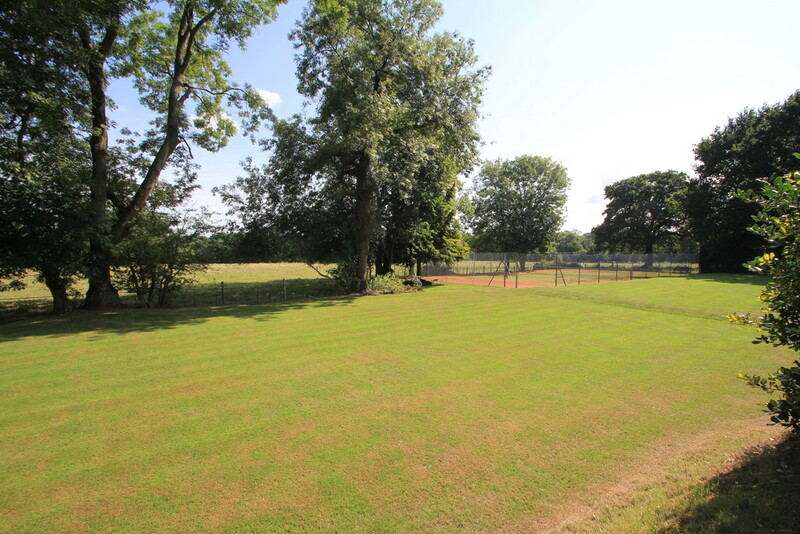 Fetherston Grange offers a real community experience, enjoying the company of other residents while seasoning a steak on the Barbie, or just taking a quiet moment to enjoy the surroundings sat outside quietly on the grass. Like a swing at tennis, well, check this out, there is even a tennis court. 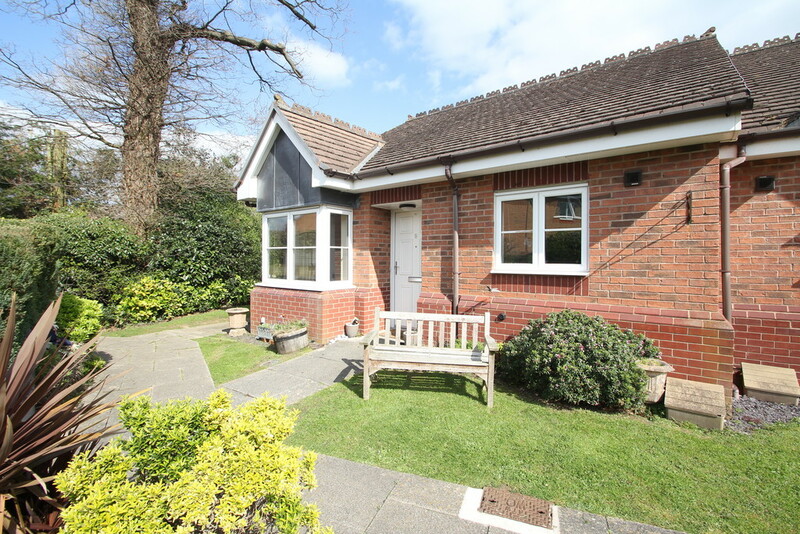 So, if fitness is your thing then we have you covered, tennis, local run or cycle, this is countryside living at it's best and within easy reach of local villages, towns and transport links. 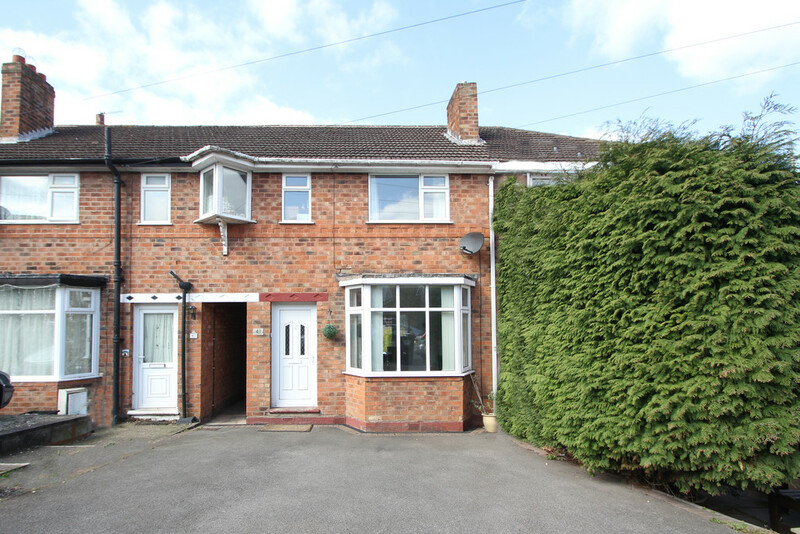 This property has the benefit of owning a single garage located in the garage block within the grounds. The service charge is currently £160pcm which includes buildings insurance, ground rent, service charges, maintenance of gardens and tennis court, communal cleaning, window cleaning, lighting and all external painting and maintenance of buildings and pathways. The development is supplied with LPG of which each apartment is metered and invoiced accordingly. The property is connected to mains electricity and water. The drainage is to a private on site sewerage system for use by the development with an annual sewerage charge of approx. £70. 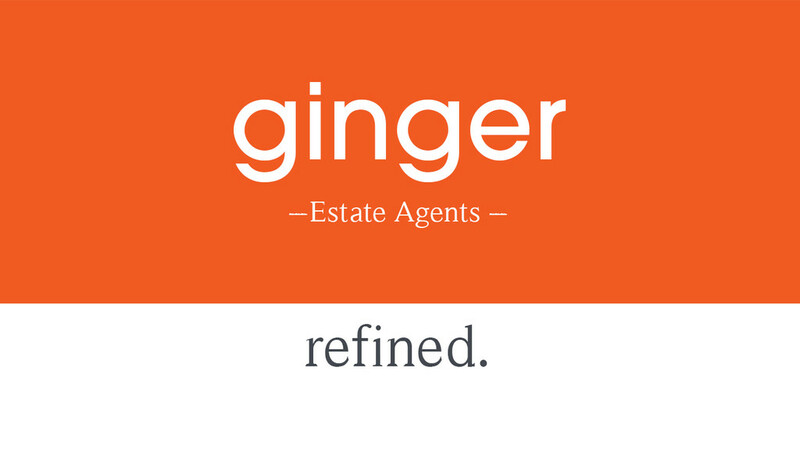 Ginger have not verified this information, therefore your legal representative must seek the appropriate clarification and we are happy to pass the details to your representative to make any enquiries ahead of making an offer. All information we provide is in good faith and as a general guide to the property. Details have been checked by the seller(s) and are agreed to be an accurate and a fair description of the property. All descriptions are open to interpretation, and are a lifestyle description of the agent. We do our upmost to indulge you in the lifestyle of the property, however, you must view the property to make your own opinion, we are only here to tell you what we think.